Competition in the world market today depends first and foremost on quality. Hong Kong companies must maintain momentum in improving their quality and satisfying the changing needs of customers. The Predecessor of Hong Kong Society for Quality, formed in 1986, was the Hong Kong Group of the American Society for Quality Control (ASQC) International Chapter. It was renamed as Hong Kong Society for Quality Control (HKSQC) in 1989 to reflect increasing local involvement. The Society maintains its affiliation with ASQC (subsequently renamed as American Society for Quality, i.e., ASQ) after the name change. In 1997, HKSQC was renamed as Hong Kong Society for Quality (HKSQ). The Society is a not-for-profit organization established to promote greater awareness of the need for quality in Hong Kong for ensuring product and service excellence through continuous improvement of quality and customer satisfaction, and to provide continuing education to professionals involved in the quality and reliability disciplines. Being a leading quality management authority in Hong Kong and having a long and well-established relationship with ASQ, HKSQ has been recognized as a WorldPartner of the American Society for Quality (ASQ) since 2002.This status granted by ASQ, a world renowned professional organization in the quality discipline with a 65-year history, is a fitting recognitionthat the contributions made by HKSQ in promoting quality is on a par with other world-class organizations of its kind. HKSQ is also a founding member of Asian Network for Quality (ANQ). ANQ was established in 2002 with the objective of promoting quality for prosperity and integration in Asian countries. Member organizations of ANQ are non-profit organizations in Asia established to improve quality in human life by contributing to the progress of science and technology, and to the development of of industry through promotional activities in quality and quality management. The American Society for Quality (ASQ) has been the leading quality improvement organization in the United States for more than 50 years. 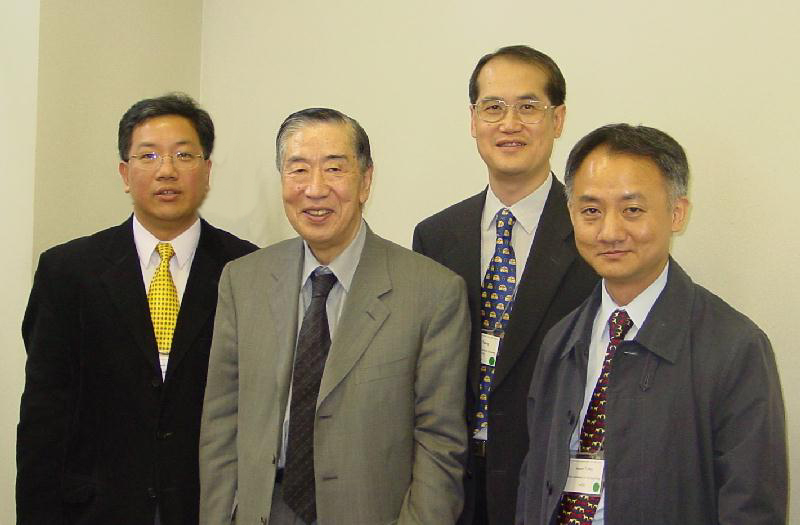 In May 2002, ASQ invited Mr. Aaron Tong and Dr. Albert Tsang, representing the Hong Kong Society for Quality (HKSQ), to attend its Annual Quality Congress (AQC) held in Denver. HKSQ together with similar organizations in Singapore, Argentina, Ireland, Finland, Brazil, Japan and Israel, signed the agreement to be WorldPartners of ASQ. This demonstrated that the contribution of HKSQ in promoting quality is firmly recognized and its status is on a par with other world-class organizations. The Asia Quality Symposium (AQS) is a conference that promotes the sharing of knowledge and experience to enhance quality efforts in Asia. The AQS Steering Committee invited Mr. Aaron Tong, as representative of Hong Kong Society for Quality (HKSQ) to attend its meeting in Tokyo on 27th July 2002. He, together with representatives of the Korean Society for Quality Management (KSQM), the Chinese Society for Quality (CSQ), the China Association for Quality (CAQ), the Indian Society for Quality (ISQ), the Standards and Quality Association of Thailand (SQAT) and the Japanese Society for Quality Control (JSQC), exchanged ideas in establishing the Asian Quality Organization. The meeting was a success and it was resolved that the new organization would be known as the Asian Network for Quality (ANQ) (www.ANforQ.net). The 16th Asia Quality Symposium (16AQS) was held in Tokyo on November 15th and 16th, 2002. It was the first step towards the establishment of the Asian Network for Quality (ANQ). Hong Kong Society for Quality (HKSQ) was one of the regional organizations represented on the Programme Committee of the event. Highlights of this Symposium included a tutorial on "Quality Engineering as a Strategy for Research & Development" conducted by Dr. Genichi Taguchi, the world-renowned expert on quality, a special lecture on "Factory Automation based on Human and Technology" delivered by Toyota Motor Co. Ltd., and a visit to a skyscraper construction site. There were also presentations of invited and contributed papers, as well as SIG (special interest group) discussions. The 16th AQS was a highly successful event which attracted delegates from 10 nations and regions in Asia. The event provided an international forum for quality experts, researchers and practitioners in Asia to share knowledge and experiences in the quality discipline. Mr. Aaron Tong represented Hong Kong Society for Quality (HKSQ) at the 8th Asia Pacific Quality Organization (APQO) Conference held in Beijing on September 15th to 17th, 2002. A highlight of the Conference was the China National Quality Management Award (2002) Presentation Ceremony in recognition of the efforts and achievements made by outstanding organizations in China in the pursuit of performance excellence. Mr. Tong was a guest of the Ceremony to share the joy and experience of the award winners.